Damp and dark homes across the UK are having a direct impact on the population’s health, according to a recent report by roof window manufacturer VELUX. The VELUX Healthy Homes Barometer has found a correlation between poor housing stock and ill-health across Europe. Developed in collaboration with Ecofys, Fruanhofer IBP and Copenhagen Economics, the VELUX Healthy Homes Barometer looks at the effects of housing on the health of people living across Europe, as well as the associated costs to society and ways to combat the problem. 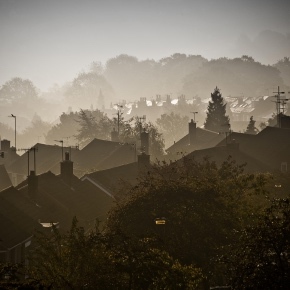 The Barometer revealed that UK residents living in dark homes are 27 per cent more likely to report poor health conditions, including asthma and chronic obstructive pulmonary disease. Additionally, people living in damp buildings are 34 per cent more likely to suffer from other health conditions. Europeans as a whole are twice as likely to report ill-health if they are suffering through energy poverty, and are nearly three times more likely to report damp in the home. One in six households are currently living in a building classed as ‘unhealthy’ – meaning it suffers from damp, mould or poor lighting – increasing their chances of illness by 66 per cent, and increasing the likelihood of developing asthma by 40 per cent. The overall cost to European governments of just two of the diseases associated with damp living environments – asthma and chronic obstructive pulmonary disease – reach £82 billion per year. One solution proposed by VELUX is to modernise Europe’s existing buildings through energy efficient and healthy renovations. This would not only lead to improved health outcomes, lower costs to society and reduced CO2 emissions, but would also provide a much-needed catalyst to European economies. The Healthy Homes Barometer 2017 goes on to examine the level of private capital available for renovation in EU member states – EUR 30 trillion – and what would be required to help unlock some of that total to invest in renovation.